As a veteran of the Disney visit, I've done a lot at the World. But this trip called for a new perspective, a new challenge--something that I hadn't ever done before. We're hitting ALL FOUR PARKS IN ONE DAY. There will be glow bracelets, sore feet, and churros involved. There will be monorail rides and fireworks and Magic Kingdom popcorn. I realize that we are insane for trying this in the middle of June. But try we will. Originally, my sister wanted to go to Hollywood Studios because she LOVES Tower of Terror. Then, we really wanted to see Wishes to end the day in Magic Kingdom. Then, I decided I had to ride Expedition Everest. At that point, we just threw in the towel, and said, "Let's go big or go home." So, we will start the day in Hollywood Studios, then saunter over to Animal Kingdom and Epcot before ending the night in Magic Kingdom. Is this possible? I don't know, but I'm going to try very hard to make it happen! Since Amber's going to be at work/ the conference most days until mid-afternoon, I get plenty of alone time. As much as I'm going to miss Britton and Landon, I'm a little excited about being able to do what I want when I want (which basically never happens as a work-at-home parent). When Amber's not with me, I plan on taking full advantage of the resort's pool and a few books (those magical things that I never get to read anymore). I will try to blog as much as I have the time and inclination to do while in Disney, but I'm not promising anything. I WILL be posting a TON of stuff next week when I get back about the hotels and stuff, so keep a look out for that. 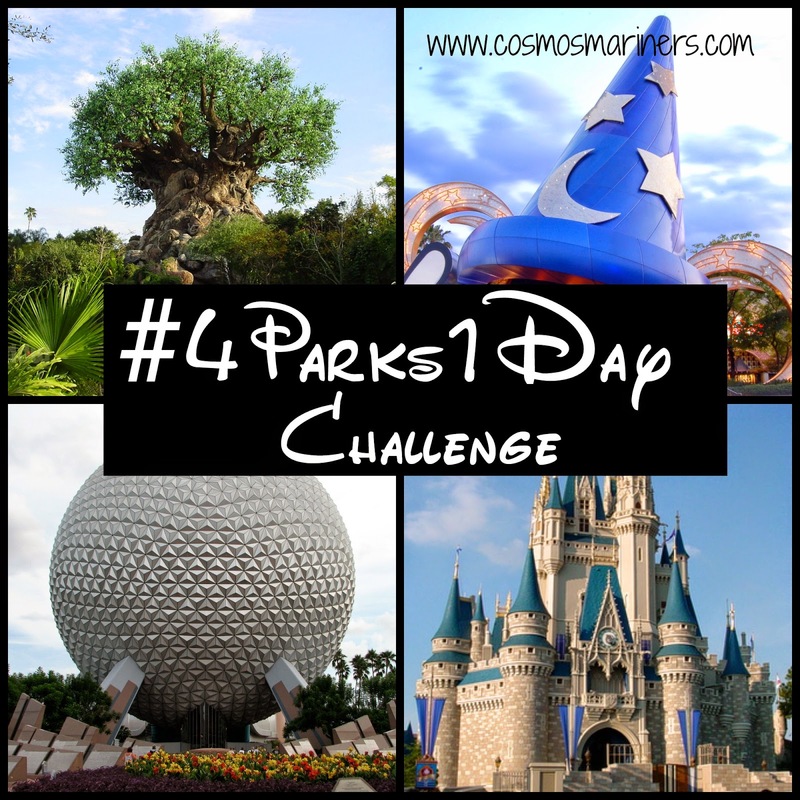 Have you ever attempted the #4Parks1Day challenge? What fun things can I do by myself in Disney World?